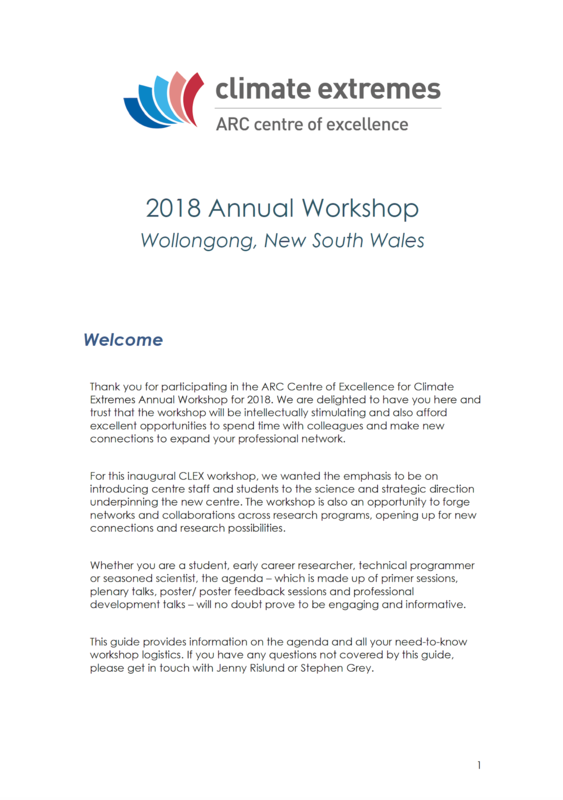 The first annual workshop of the ARC Centre of Excellence for Climate Extremes (CLEX) will take place from November 18 – November 21 at Novotel Wollongong Northbeach. The workshop will discuss progress and plans in all research areas covered by the Centre, namely, extreme rainfall; heatwaves and cold air outbreaks; drought and climate variability & teleconnections. The main form of presentation of scientific results at the workshop will be by poster – recommended size is A0 portrait but if you already have a smaller poster ready and relevant to your current work, bring that along. There will be no abstract submission required. Participants will be asked to select from a list of one or more thematic “tags” to categorise their poster prior to the workshop. More specific instructions on preparing and registering your poster can be found here. In the meantime, get working on a poster that best showcases your current research! Following the main workshop, there will be an Early Career Researcher and Student Workshop to be held in Wollongong on Thursday 22 November. See below for more information. As part of the Centre’s Researcher Development Program, we are also running a writing workshop at UNSW in the week prior to the workshop (14 – 16 Nov). Registration Cost: There is no cost for CLEX staff and students to attend the workshop. Lunches, refreshments and one conference dinner are included. We seek to be as inclusive as possible with providing funded places at the workshop. However, our budget is limited meaning that priority is given to CLEX personnel. Depending on registration numbers, it may be necessary for us to recover costs for catering and venue hire from attendees joining from outside CLEX. Sunday night ice breaker will start from 6.00pm at Novotel. Posters can be dropped off from 4.00pm – location TBA. 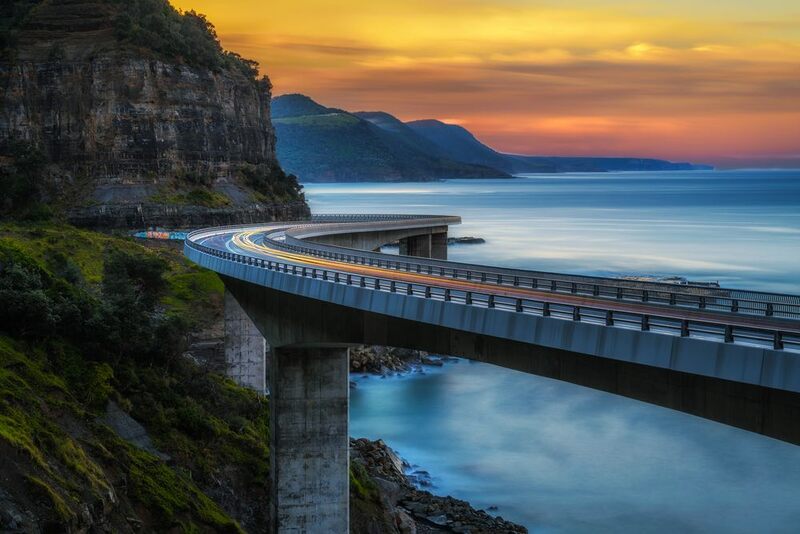 Wollongong is 90 minute scenic train trip from Central station in Sydney. Trains run hourly. Those flying to Sydney can transfer from the Airport Line to the Illawarra line at Wolli Creek. See https://transportnsw.info for timetables and a route planning tool. There is a free City Loop bus in Wollongong that passes the station. Taxis and Ubers are also available. Flights should be organised to allow sufficient time to get to Wollongong by mid afternoon on Sunday 18 November 2018 and with time to get back to the airport after the workshop. Please book your flights according to your local travel policy. Your node CLEX admin person can assist. Remember also to report your travel and attendance at the workshop in clever. If you’re attending the additional ECR and CI meeting after the workshop, please factor this into your flight booking. Limited parking is available at the Novotel on a first come basis. Parking is complimentary for guests staying at Novotel and for those who are not guests it is $20 overnight. Please see reception. 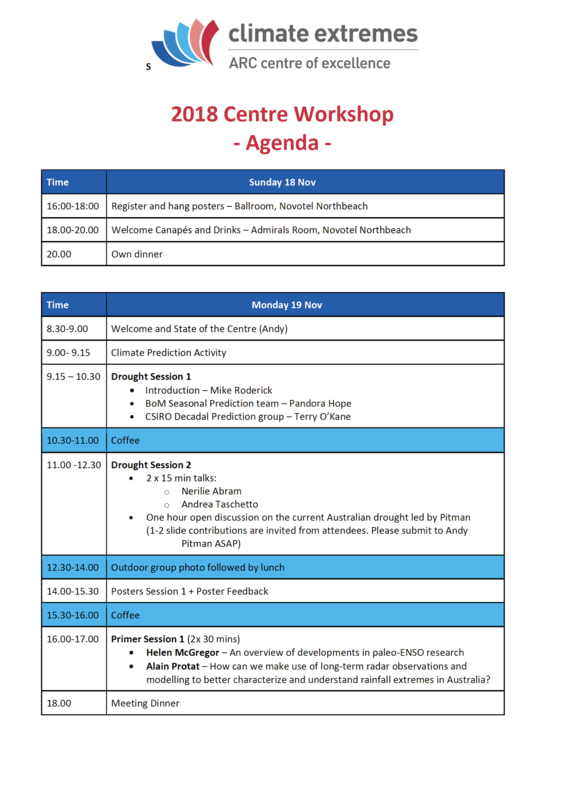 Chief Investigators, CMS team, admin staff and invited special guests will have rooms allocated at the workshop venue, Novotel Wollongong Northbeach. Your accommodation and daily breakfast will be charged back to the workshop master account. If you have specific accommodation preferences (e.g. traveling with a spouse or children), please indicate this during the registration process. The registration form will also prompt you to provide us with your check in and check out dates. Rooms have been held an extra night for those likley to be attending the CI meeting on Thursday 22nd November. Associate Investigators, postdocs, students and other attendees will need to arrange their own nearby accommodation for the workshop. Students should book shared accommodation. Postdocs and others are encouraged to consider sharing also if possible. Please book your accommodation according to your university’s travel policy. Check with your admin staff for assistance. If you wish to travel to Wollongong for extra nights before or after the workshop, you must book and pay for your own accommodation independently. Please advise special dietary needs at the time of registration. Morning tea, lunch and afternoon tea will be provided each day and there will be a conference dinner on Monday night. Sunday and Monday night dinner will be at delegates’ leisure. A list of local restaurants will be circulated to delegates in the lead up to the workshop. Reservations are recommended. We will open the workshop with welcome drinks and canapes and an icebreaker event from 6pm on Sunday 18th evening. The agenda sets aside some time for outdoor and leisure activities on the Tuesday afternoon. We will arrange on-site child care during the workshop to enable those with carer’s responsibilities to attend. If this would be of benefit to you, please provide the requested details at the appropriate point on the online registration form. Once there is a clear idea of interest and numbers we will work with the parents to arrange suitable arrangements. All workshop participants are invited to present their recent work with a poster. Each poster will also be assigned two reviewers to give specific feedback on the poster content and design. For more details and to register your poster please visit the poster information page. We encourage participants to engage with social media. Our Twitter hashtag for the conference is #CLEX18. You can find our social media guidelines here. Location: Throsby Room, Novotel Wollongong Northbeach Following the CLEX workshop an Early Career Researcher (ECR) day will be held at The Novotel, on Thursday the 22nd November from 9 am to 4 pm. All PhD students and postdocs are invited to attend and lunch will be provided. An ECR social event will also be held – after the end of the CLEX workshop. The timing of this event will be communicated shortly to ECR guests and those who ticked attending. Please note: Registrations for the Annual Workshop 2018 are now closed. Please contact Jenny Rislund (j.rislund@unsw.edu.au) if you have any queries.